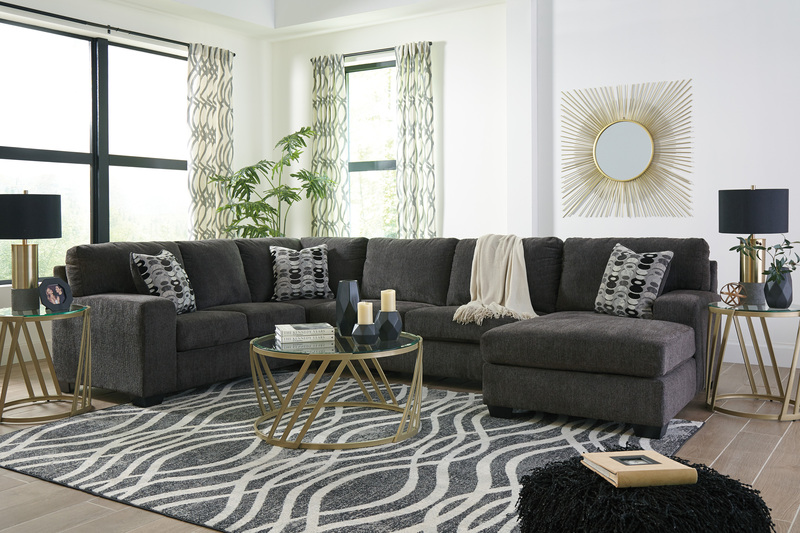 A mastery in less is more, the Ballinasloe 3-piece sectional manages to make cool, contemporary design so warm and cozy. A new twist on neutral, the sectional’s soothing “smokey” gray upholstery is incredibly plush to the touch. Gently rounded corners give the clean-lined profile a sense of ease, for a high-style look that’s ultra inviting. Available with LAF or RAF chaise.